Botox treatment is an incredibly common procedure. Medically, it is excellent for treating some muscle disorders, reducing migraines and sweating, and even aiding with excretory disorders. Aesthetically, Botox is used to remove wrinkles, lines, and other marks by applying temporary paralysis over the muscles, especially on the face. The use of Botox for aesthetic purposes is somewhat controversial, but it’s also very popular. Six million treatments of this kind are performed annually, more than any other non-surgical form of cosmetic treatment. So surely, the positive sides outweigh the negative sides – right? But Botox treatment is a procedure that involves the use of toxins and can, in rare cases, causes dangerous medical complications. For those who want the anti-aging effects of Botox but without injecting potentially damaging chemicals into the body, there is a way to do so naturally. Here’s how to make a natural Botox with only three ingredients! Botox is administered from a toxin called botulinum. A very, very small amount is used, but even a slight overdose can be deadly thanks to botulism, which is an illness that leads to respiratory failure. Just one gram of the substance can result in the deaths of more than one million. Just two kilograms could kill everyone living on earth today! Still, we don’t want to scare you; Botox is, for the most part, quite safe as far as chemical treatments go. And most freak cases of Botox gone wrong actually occur in those who use it therapeutically or for medicinal purposes, so keep your positive thinking going! But it still carries a higher risk than more natural methods. There’s also the issue of pain. Non-natural Botox treatments involve injections, which some may find quite painful. These injections will also cause some degree of bruising around the spots they were administered, and they take a couple of days to fade. Natural Botox methods do not cause these issues. To top it all off, all types of Botox – whether natural or non-natural – are mostly temporary. Non-natural Botox has effects that only last up to six months, and no longer. This can lead people to repeatedly undergo Botox treatments again and again. But the muscles in commonly treated areas will become more and more weak as time goes on. This will eventually lead to the loosening and flattening of the skin. Weak muscles will then have to resort to borrowing strength from other muscles around it. Ironically, this can accelerate the aging process, says cosmetic dermatologist Dr. Patricia Wexler. That said, although natural Botox methods don’t produce permanent outcomes either, they nourish the skin and help fight aging. With repeated use, they can help make the skin healthier and; therefore, their effects are more long-lasting and can have long-term benefits. Essentially, there are no negative sides to using natural Botox – only positive sides! There are two different ways that we’re going to use to show you how to create your own natural Botox treatment at home. Both only require three ingredients, so they are extremely easy to make and use; most people already have these ingredients at home! Now you know your ingredients, so it’s time to learn how to make this natural Botox with only three ingredients. Here is a step-by-step guide! Step 1: Start by grabbing half a glass of water. Use it to dissolve your cornstarch thoroughly. Step 2: Once dissolved, pour in some boiling water; 100 ml will do fine. Cook the mixture on simmering, low heat. It should soon thicken. Step 3: Allow to cool for a short while. Step 4: Add your carrot juice (fresh!) and sour cream. Stir till well combined. Step 5: Give your face a thorough clean. Exfoliate, too, for best results. Spread the finished mixture over your face. Step 6: Leave to sit on your skin for up to half an hour. Step 7: Rinse the Botox mask away with some warm water. Use a nourishing or moisturizing cream to finish off. Step 8: Use this mixture for three consecutive days. Remnants of the mask can be kept in the fridge. Once you complete your three-day natural Botox treatment, you will find wrinkles reduced and will notice that you look less tired. You should also feel like your face is more hydrated, and the skin softer and tighter! Cornstarch is a great ingredient for skin care. It can revive tired skin and has amazing anti-aging properties. Cornstarch also soaks up excess oil and works to regulate the amount of fat on the skin. It has brightening, color-correcting effects thanks to its high vitamin A content, and it sports calcium and iron, which are both components that make new skin cells. Sour cream, on the other hand, also has positive effects on one’s skin. One of its main components is lactic acid, which is great for exfoliation purposes. It also helps increase collagen production, and collagen is crucial as it is responsible for creating connective tissue within the skin. On top of all that, lactic acid is great for keeping moisture content high on skin! Finally, let’s talk about the main ingredient: carrot juice. It can do so many great things for the skin, so we’re going to break down its contents. Vitamin A is great for acne treatment, and as an antioxidant, it prevents excess free radical production. It is also great for anti-aging purposes. This antioxidant provides much-needed hydration to the skin. They can also help clear up dark spots and scars. Also an antioxidant, this vitamin is great for limiting free radical production, just like vitamin A. This component clears away dried or dead skin and keeps moisture firmly locked in so your face is hydrated. It’s good for skin cell renewal. 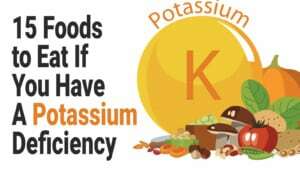 Simply put, potassium is excellent for moisture and hydration. This second natural Botox treatment was designed by the famous Dr. Oz. It’s faster to do and easier to complete, but do note that results may not be as significant as with method one. Here are the ingredients you need. 1: Mash up your banana quarter. 2: Mix the mashed banana in with your yogurt and honey. 3: Spread the combination over your face. 4: Allow to sit for a quarter of an hour. 5: Rinse the mask off your face with cold water. Gently pat dry, and carry on with your usual skin routine. Dr. Oz’s banana Botox mask is extremely simple to use, and it’s great for refreshing the skin and leaving you feeling clean and smelling great. You’ll find your mood lifting quickly and your positive thinking heightened with this mask as it treats your skin and smooths wrinkles! Yogurt is a fantastic ingredient for a natural Botox mask because it contains lactic acid. This acid gets rid of dead skin in a soothing, exfoliating manner. It can help the skin to glow, moisturize the surface, and soften skin. It rejuvenates and prevents future breakouts, all while having tons of anti-aging positive sides! Meanwhile, raw honey doesn’t just moisturize. It also has restorative properties that make it a fantastic cleanser. It softens the skin for a glowing face, reduces lines and wrinkles, and helps to reduce inflammation and redness. Raw honey can give your whole look a lift while relieving dryness! Finally, there’s the banana. There’s very little that it can’t do for your face! It reduces oil, moisturizes the skin, helps treat acne, and even helps with dark spots. There’s a reason this fruit is so commonly considered nature’s positive, organic Botox. All its anti-aging properties are incredible for the skin. Here’s a breakdown of each component and how it works. This vitamin helps to smooth the skin while healing damage, reducing scarring and spots in the process. A collection of B-vitamins within bananas prevent stress by halting free radical production. Crucial in collagen production, this vitamin controls the oil on the skin while reducing free radical production. This vitamin slows aging and helps to prevent free radicals from taking root. It can also shield the skin from sun damage. This nourishing nutrient helps to boost connective tissue, allowing your skin to stay elastic while still being strong. Lectin helps you fights off bad bacteria, thus keeping your face pimple-free. The most famous nutrient in a banana, potassium provides moisture and hydration to facial skin. This mineral guards against acne by fighting germs of all kinds, thus keeping your face cleaner and clearer. Aging is a natural process for the skin. Trying to stop it by pumping your face full of Botox may not have the effects you seek. It’s a pity that many people see it as their only option, as there are so many less invasive methods that can do the same job in a more natural way. Skincare is the most crucial part of fighting the negative side of aging. Taking care of your body, your mind, and your overall health is truly the only way to really avoid the nastiest parts of getting older. No amount of forceful procedures can undo neglect! Now that you know how to make a natural Botox with only three ingredients, you can skip a trip to a doctor or surgeon’s office and focus on aging gracefully. With patience, you’ll have the skin you’ve always dreamed of, thanks to cheap ingredients you already had in your kitchen!